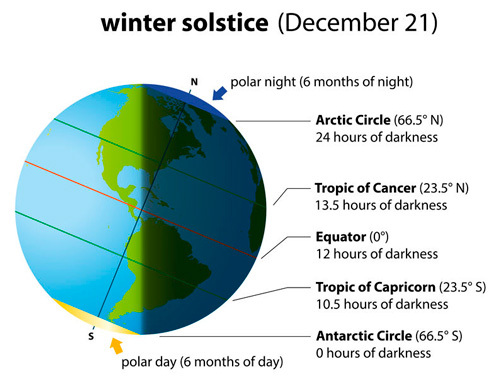 The shortest day (and the longest night) of the year is called the winter solstice. This day marks the beginning of winter, which is on or around December 21 in the Northern Hemisphere (North America, Europe, Asia, and most of Africa) and on June 21 in the Southern Hemisphere (Australia, nearly all of South America, and the southern part of Africa). After the winter solstice, days become shorter while nights become longer. The word solstice derives from Latin sol sistere which means "sun standing still". The sun appears so low on the winter solstice that it does indeed look like it is not moving at all. Because our planet is tilted on the axis (an imaginary line of rotation) for some 23.5 degrees, the two hemispheres get different amounts of sunlight during the year, as Earth keeps moving around the sun. In the Northern Hemisphere, the December solstice happens when the sun's elevation in the sky is at its lowest. On that day, some cities like Reykjavik, the capital of Iceland, receive only 4 hours of daylight. Yet, in the South, places like Melbourne in Australia can enjoy a 15-hour long sunny day. The solstice has been a special event since the earliest human history. People relied on the solstice to know when animals mate, when to sow crops, or how to distribute their winter reserves of food. In some cultures, it was an opportunity to make the last large feast of the year, before the harsh winter began. Communities typically had the greatest amount of food and beer to share with each other right at the start of the winter. The legendary ring of standing stones called Stonehenge is one of the landmark attractions in England. Stonehenge was built in stages, some of them dating back to 5,000 years ago.  Consequently, it was also used for different purposes, one of which was the observance of the winter solstice. 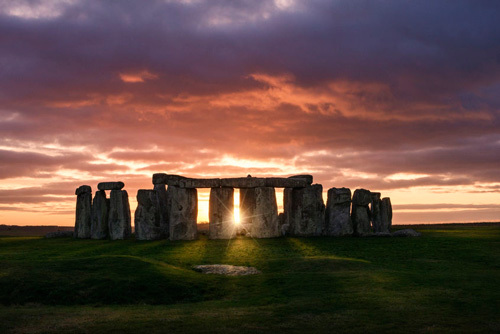 The stones had been carefully aligned to give a clear view of the sunset of the winter solstice, as well as of the opposing sunrise of the summer solstice. Today, gathering at Stonehenge in the early morning of the winter solstice to watch the sun rise over the stones is a very popular event. The ancient Romans also marked the winter solstice with an event called Brumalia (from Latin bruma for "winter cold"). This festival was celebrated while the Romans lived as pagans and worshipped several gods. Once Emperor Justinian began to suppress paganism, Brumalia was no longer celebrated. Brumalia often started in late November and lasted for a month. Usually, many animals were offered as a sacrifice to Saturn, the supreme god, and Ceres, the goddess of agriculture and fertility. After those rituals, people drank and ate all night. Nowadays, many nations still preserve some of the traditions related to the winter solstice. People in China traditionally say that the winter solstice is more important than the New Year's Eve. This saying comes from Chinese farmers and fishermen who prepared food supplies for the cold months ahead. In Chinese philosophy, too, the winter solstice is significant, representing balance and harmony in life by allowing days and nights to come closer in length. For many years, the Dongzi Festival has been organized to celebrate the winter solstice. In Chinese, Dongzi means "the extreme of winter". There are several customs attached to this festival. The most important of all is that the family gets together. 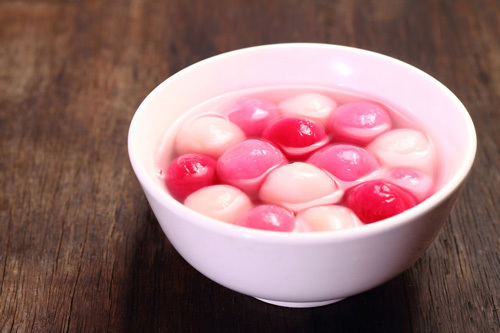 In southern China, people leave work early and share delicious rice balls called tang yuan with their family members. Often brightly colored, tang yuan symbolize reunion. In the North, people follow a custom started by the Han royal family and eat dumplings. The old Persian festival called Yalda Night (Shab-e Yalda) has been celebrated in Iran and several neighboring countries on the night of the winter solstice. This celebration is also known as Shab-e Chelleh, meaning the "night of forty", as it is also the beginning of a forty-day long period of winter before another major holiday. Since this is the longest and darkest night of the year, Persian people believed the evil forces were at their peak, so they started getting together and staying awake all night to protect themselves. To acknowledge the winter solstice today, friends and family come together to eat, drink and, frequently, read poetry, too. Usually, people serve fruits and nuts to their guests. Pomegranates and watermelons are especially important because their red color symbolizes the glow of life. Most families get ___________ on the night of Dongzhi. The Persians believed the evil forces are at their ___________ on the Yalda Night. On the winter solstice, the sun ___________ very low. 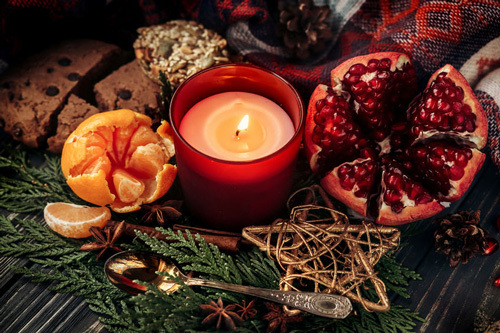 Many cultures organized feasts on the winter solstice before the ___________ winter began. On the Yalda Night, people ___________ awake all night. After the winter solstice, days and nights ___________ closer in length. During Brumalia, many animals were sacrificed and ___________ to the gods. The Stonehenge stones are ___________ aligned. Our planet is slightly ___________ on the axis of rotation. Farmers and fishermen traditionally prepared food ___________ for the winter. 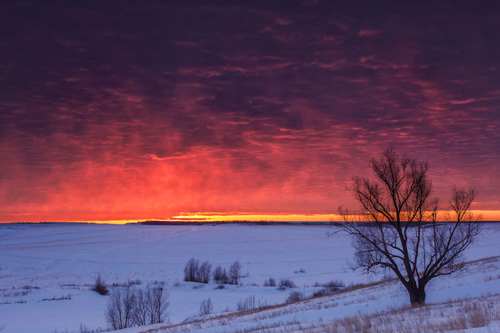 Where does the winter solstice happen in June? What food do people in southern China eat on Donghzi? Why did Persians use to stay up all night on the winter solstice? Which gods was Brumalia dedicated to? How did the Romans celebrate Brumalia after the sacrifice ritual? On the winter solstice, some cities get only 4 hours of daylight. On the winter solstice, no city gets less than 5 hours of daylight. It is not allowed to serve anything red on the Yalda Night. Red fruit is traditionally served on the Yalda Night. "On December 21, the day lasts for nearly 15 hours in Australia." 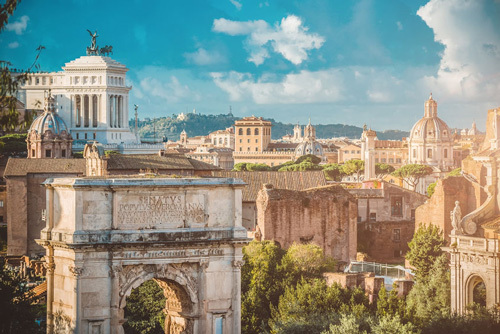 "Nowadays, Brunalia is a commonly celebrated holiday in Rome."